Are Harry Styles And Taylor Swift Friends Again? He knows 1989 is basically about him, right? 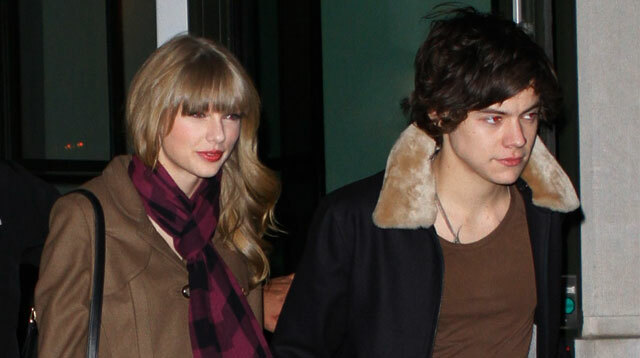 Taylor Swift and Harry Styles are working on repairing their friendship after splitting up in early 2013. They dated for four months before parting ways. A source said: "They have become pals." Harry, 20, reportedly reached out to the 24-year-old beauty after hearing some of the songs she wrote about him, including "Out of the Woods" and "Style" for her latest album, 1989. The insider told Us Weekly magazine: "Taylor has been bragging to her trainer and celeb friends that she and Harry are talking again." The British star recently admitted he wasn't upset that his ex-girlfriend had included tracks about him on her record. He said: "We write from personal experience. I think everyone does. So it would be hypocritical of us to be like, 'Oh, you can't write about us.'" The former couple broke up after getting into a nasty argument while on a New Year's holiday on Virgin Gorda, the third-largest of the British Virgin Islands, and Taylor immediately flew back to Nashville, Tennessee alone. A source said at the time: "They had a fight. [Harry] said something he shouldn't have...This [breakup] is definitely going to be for good."